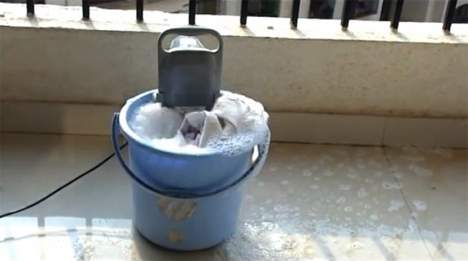 Portable washing machines aren’t really big news anymore; inventors all over the world are coming up with ingenious human-powered designs that save money, time, and effort. But the Venus Bucket-Mounted Mini Washing Machine is an attention-grabber, mostly because it’s just a small contraption that you clamp to the side of a bucket you already own. 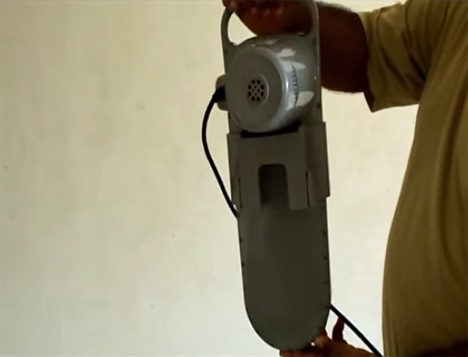 The lightweight Venus is basically just an electric agitator that takes your clothes, some water, and some detergent and does what anyone could do with a washboard. It takes about five minutes for the agitator to wash 2.5 kg of laundry. 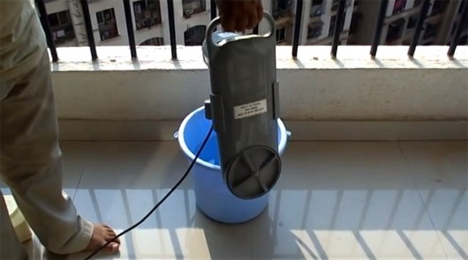 Inventor Piyush Agarwalla says that the Venus can also save a considerable amount of water over washing clothes by hand – and it prevents the hand, back, and hip injuries often associated with long-term hand-washing of laundry. But the appliance also has applications in the first world where most of us have access to automated washing machines: it can wash your dirtiest of laundry separately from the rest of it. Parents who have used cloth diapers can appreciate the device for this reason alone. Of course, it could also be extremely useful for campers, college students in dorms, and people who can’t afford a traditional washing machine. At just $60, it’s a one-time investment that will pay for itself in a matter of months, depending on how often you visit the laundromat. The Venus does have one very large problem: it requires electricity to work. If it’s meant to help people in the third world who have traditionally relied on handwashing with washboards, then lack of access to electricity will be an issue. The designer is currently working on a battery-powered version that would solve that problem, making clean laundry accessible no matter where you are.